vanilla & lace: Clinique gift + trying new products! 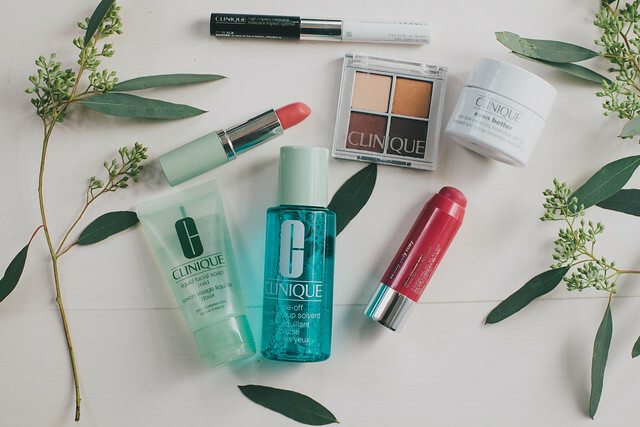 Clinique gift + trying new products! Hello hello! I have an amazing deal I wanted to share with those of you who like deals (ie: all of us). I've been on the hunt for a better moisturizer since my skin is SUPER picky about what it wants--drug store stuff just doesn't cut it and I thought I'd try one of the highest rated ones ever, Clinique's dramatically different moisturizing lotion. The infamous yellow bottle! 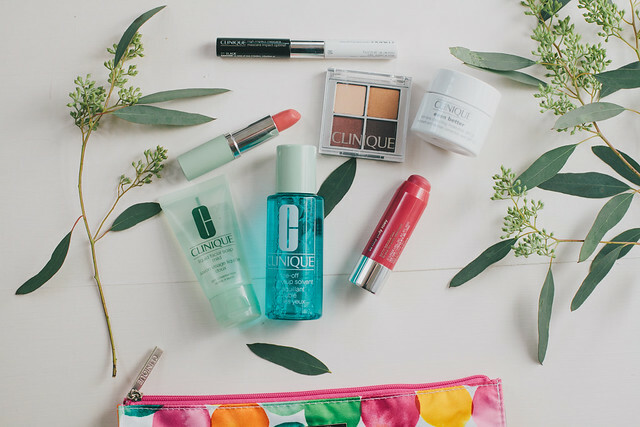 It's been really great so far and to make it all even better, right now at Nordstrom they have a gift with purchase deal going on where you get 7 additional products (plus a zippered pouch) with any purchase of $29. It was like christmas came early! All of the gift with purchase items are pictured. 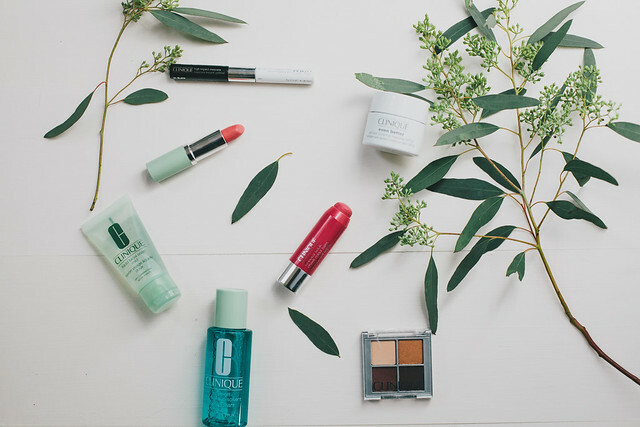 I seriously loved this offer because I'm always looking to try new products (especially higher end) but I don't always want to commit to buying before trying because I can be pretty picky. So this was an amazing way to get introduced to a few new items. I have completely fallen in love with this cheek stick and I probably wouldn't have discovered it had I not got it with the purchase. The color is exactly what I like and I prefer liquid/creme blush over powder any day of the week! Also, the soft matte lipstick goes on like butter on your lips and stays put for so long. I've already added a couple other colors to my wishlist, especially this one. You can get the gifts with your purchase online here or at a local Nordstrom store (the Bellevue store is doing the event if you're close to Seattle!) It's seriously an amazing deal, you'd be silly to not scoop it up. I love Clinique! I haven't used anything from them in a long time, though. That lip color looks so pretty.